Large Enough to Surpass Your Expectations. Anderson Technologies is a partner that is small enough to care, to be agile, creative, and to accomplish what you really need to get done when you need it done. Anderson Technologies applies the right blend of practical efficient solutions and technologies to deliver higher value for customers. Engineering and tooling facilities expedite product development solutions, efficiently and effectively prototype, and provide bridge tooling when required. Anderson Technologies can give you the depth of three generations of injection molding knowledge on your team. Seasoned professionals, who have worked in a variety of industries, bring you experience plus a keen focus on new possibilities. They provide you the support and comprehensive engineering you need through all phases of the product development lifecycle. Anderson Technologies can create 3D CAD models to assist in confirming your plastic product design and value analysis: Establishing fit and function, plastic resin selection, aesthetic criteria, tolerance requirements, critical dimensions, DFM (design for manufacturing). Assistance can be provided to develop design verification models for FEA analysis, and use of Moldflow® analysis to simulate the injection molding process to resolve potential issues in your molded plastic products. The correct prototyping method is critical to your design verification and validation process. Therefore having a knowledgeable partner is essential in guiding you through this critical process. Anderson Technologies will create rapid prototype models using one of several methods available that best fits your design and timing situation. Modifications of your designs will be recommended to ensure you have an efficient, effective prototype. As your plastics technology partner, Anderson Technologies’ job is to align your criteria, your wants, your nice-to-haves and technical specifications with any one of many prototype processes. The latest additive technologies can be used to ensure your prototype development has the advantage of using up-to-date prototyping techniques. Anderson Technologies supports customers on the front end with tooling development that ensures the best design and manufacturing methods to lead you to new levels of long-term success of your products. The correct injection mold is developed using correct CAD modeling programs, Moldflow®, mold cooling, and other analytical tools that are essential to develop properly designed injection molded products that are optimized for the performance criteria that you desire to meet. Continual investments in new equipment and processes to enhance manufacturing flexibility are coupled with continuous improvement system and continuous learning. The manufacturing team is very well experienced in product launches across numerous industries. They have helped multiple manufacturers relocate manufacturing to a domestic local supply base. Very often this is more difficult than starting new. In many cases tools and related equipment are in difficult condition and there is little or no information on processing. Anderson Technologies in-house tooling and engineering facility has frequently brought extended life into exhausted tooling and been successful in the relocation of multiple programs involving hundreds of tools and fixtures. Anderson Technologies is determined to maintain its second-to-none position in all our locations. Anderson Technologies will collaborate our engineering and customer support to deliver the right product from the right tooling for your optimized design on time, every time. A partnership can begin at any stage along the process lifecycle and continues beyond the dock door. 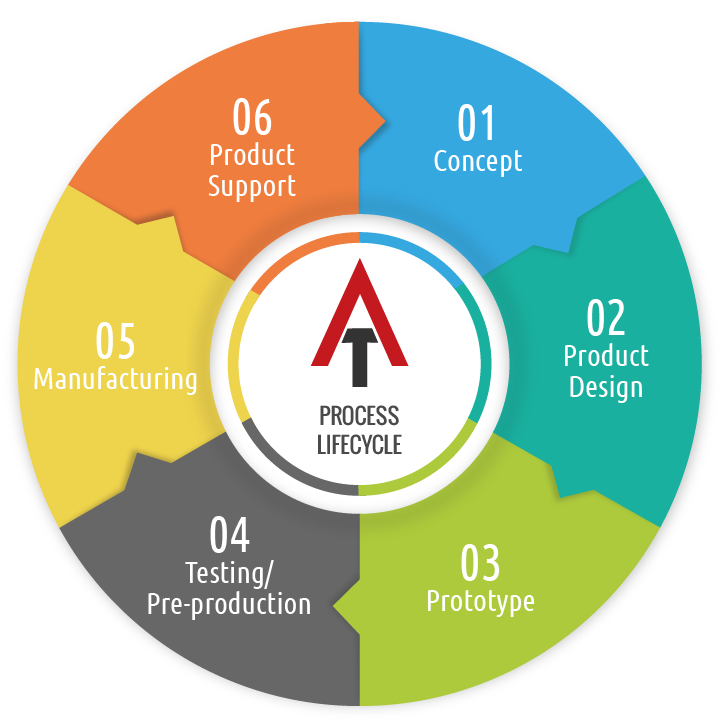 Anderson Technologies will raise your level of success through your entire product lifecycle.